Comments Off on Natural Gas from Sewers? I was minding my own business yesterday and as is my usual practice, I went out to the communal mailbox to fetch my daily installment of junk mail and hoping to see a new Netflix DVD. I received a form letter that was from one of our many local utilities. This particular envelope was from Pacific Gas and Electric Company commonly known as PG&E. While the utility does provide electrical service to much of northern California, in our area electrical service is provided by SMUD (Sacramento Municipal Utility District). PG&E only supplies natural gas in my area. On the face of it, this letter is weird. It appears that PG&E is concerned that past work on their natural gas pipelines has been cross-connected with sewer lines. As part of our commitment to ensure your safety, we have hired a qualified contractor to perform gas and sewer safety inspections in your neighborhood. These important safety inspections will ensure that our past natural gas pipeline work did not result in a conflict between your sewer line and gas service line . Our contractor will use a video camera to inspect your sewer line. All I can think of reading the text of this letter is the San Bruno neighborhood that went up in flames many years ago. However, I know that inferno was the result of a different problem. When I was a kid, it was common practice to light and then extinguish a match after a person spent a long time sitting on “the throne” to mask the smells in the bathroom; however, I had no idea that such a practice was a life threatening exercise due to PG&E getting natural gas from the sewer lines. 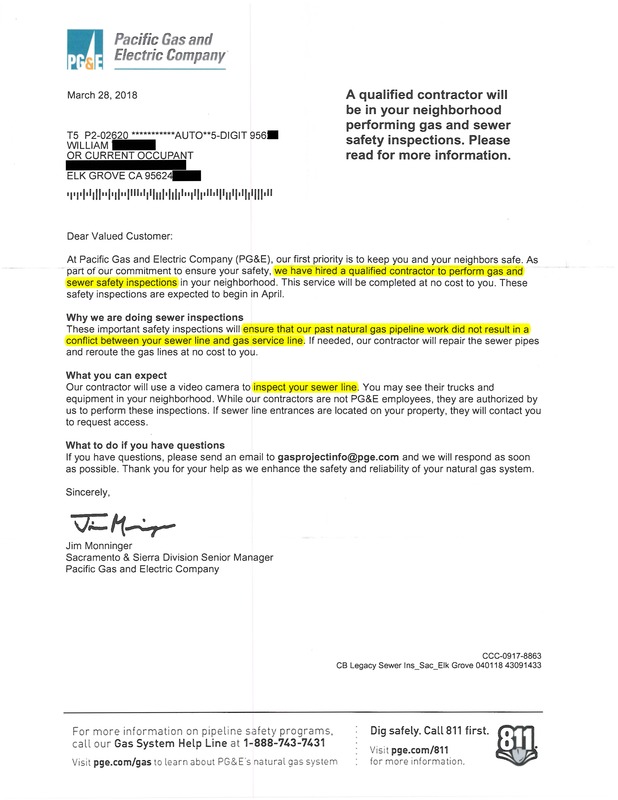 Why doesn’t PG&E spend time checking their own lines? The sewer lines don’t belong to them. I know because we get to write a generous check to the County of Sacramento on a regular basis to have the privilege of flushing our one gallon potty and washing dishes. 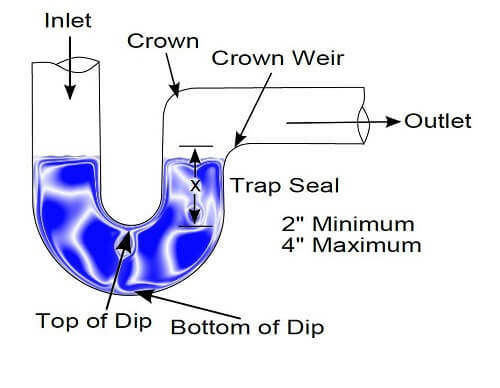 If there were any evil gasses escaping from the sewer lines then I would know because we have at least two drain traps in our home that have no seal on them because the fixtures are never used and the water in them has evaporated long ago. Reading this letter reminds me of the joke about losing something and looking elsewhere because the light is better. In 1942 a version of the joke appeared in the popular syndicated comic strip “Mutt and Jeff”. Three of the five panels in the strip are shown below. The gentleman in the top hat is Jeff. I’m glad PG&E is able to fund this snipe hunt for cross-connected natural gas lines. I’d rather see them spend extra money on this because it’s at least related to utility service than spending my utility payments fighting traditional marriage like they were doing back when Prop 8 was on the ballot. Once this vital inspection is completed, I will be relieved that my bathroom is once again declared a sanctuary free of life threatening gasses; in fact I will breathe easier.